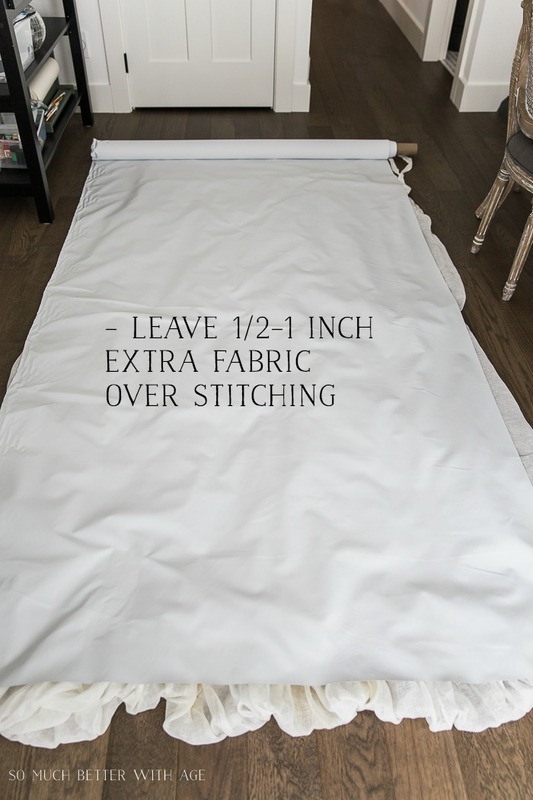 Sewing blackout lining into regular store bought curtains is a great way to customize your curtains without having to make them from scratch. I love these ivory curtains I got a few months back. 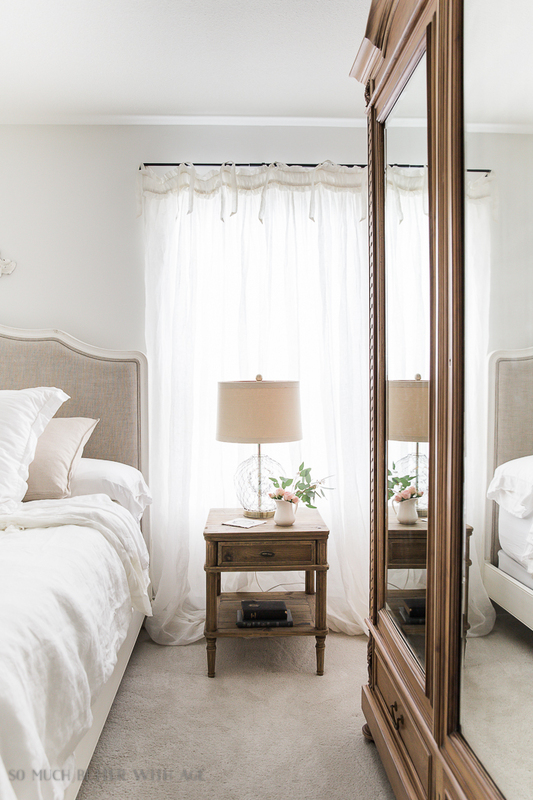 They are so light and airy and are perfect in my French bedroom. But they don’t block the light. I’m a big fan of blackout curtains. 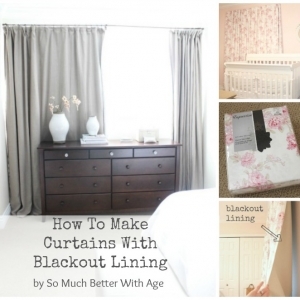 In fact, this old post of mine on how to make your own blackout curtains is still my most popular post! 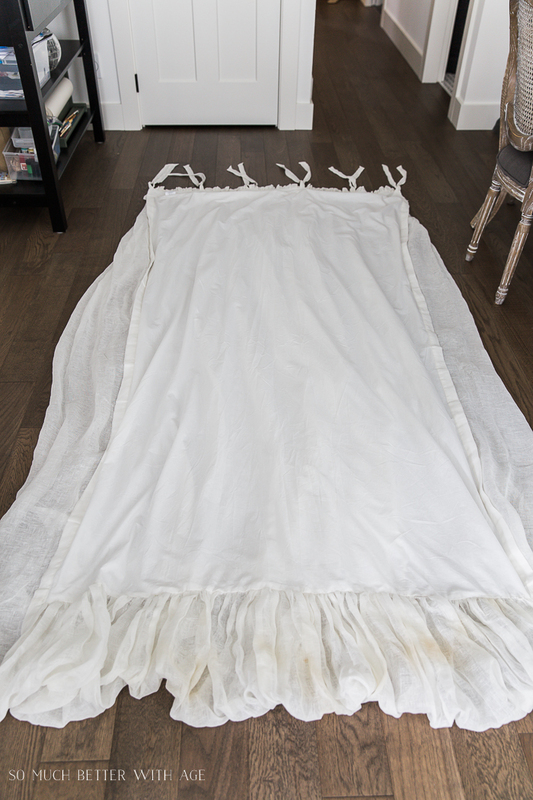 I wanted to see if I could easily sew blackout lining into store bought curtains and it was easier than I thought! 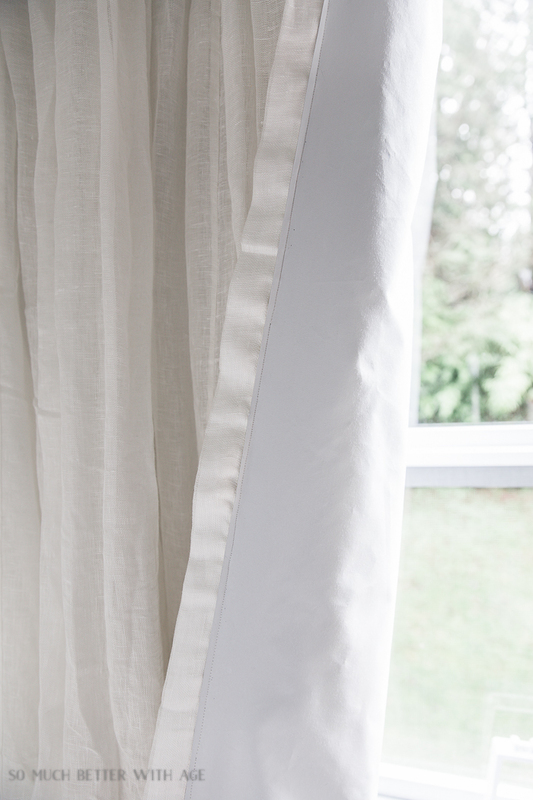 Spread your curtain down with the backside facing up. 2. Measure out how much blackout lining you’ll need leaving an extra 1/2 to 1 inch extra for seam allowance. 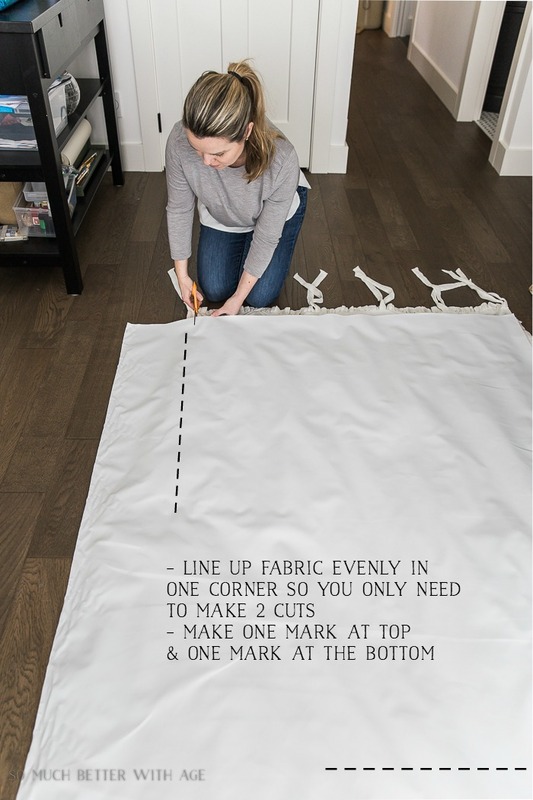 You are going to sew the blackout lining to the stitching already in the curtain so there is no need to take apart the store-bought curtains. 3. Line up the blackout lining into one corner so that you only have to cut two sides. 4. Make a mark at the top with scissors and another mark at the bottom opposite corner with scissors. 5. 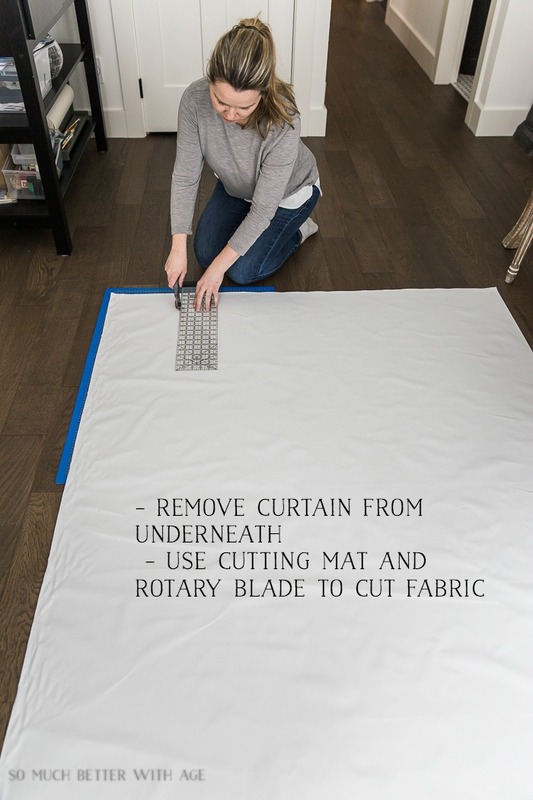 Remove the curtain and lay a cutting mat underneath the blackout lining. Cut a straight line starting from the mark you just made all the way down. 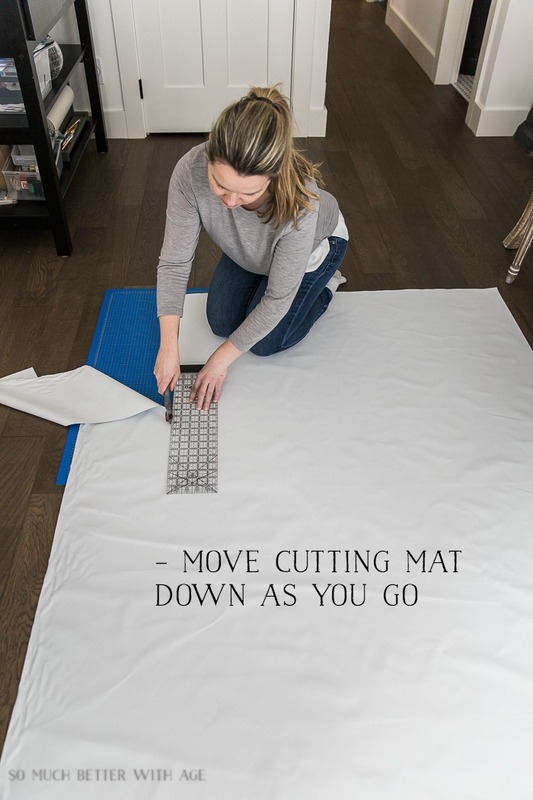 Move the cutting mat down as you cut. Do the same for the bottom starting from the other mark you made. 7. 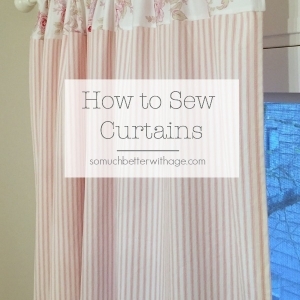 Cut out a second one while you are at it for the second curtain panel. 8. Pin the blackout lining to the curtain panel with the finish side facing out. You only need to sew the top and two sides down. I always leave the bottom unstitched. 9. Sew the blackout lining along the same stitch marks as the curtains. 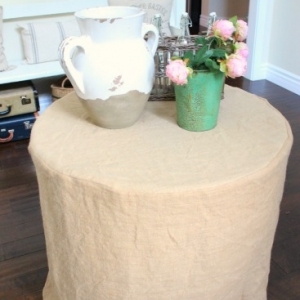 Use the same color thread as the store-bought curtains. If you don’t go along the same stitch marks as the curtains, that’s okay. Even if you get a stitch line all the way down beside it, it will still look good and you won’t be able to see it close up. Here is what it looks like sewn together. I didn’t much seam allowance at all (oops!) which I’ve suggested 1/2-1 inch seam allowance. But blackout lining won’t fray so it’s great fabric to just cut and sew into place. Now I get my pretty curtains AND a good night’s sleep. I’m thinking of making a whole printable handout for my readers with different ways of making curtains. Would this be something you are interested in? Thanks for this common sense guide! 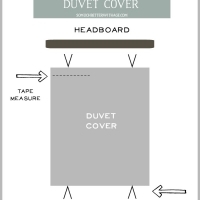 Printable guide to making curtains would be great. I always have trouble getting everything square, any hints on that? Thanks, Debbie! 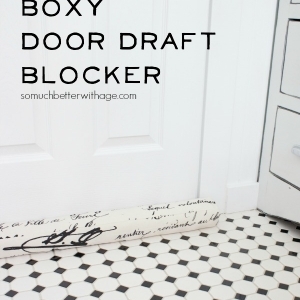 I’ll have to think of tips for keeping everything square and include it in my guide! When I add black out fabric to store bought drapes, I just sew it across the top. Seems like the drapes wouldn’t drape if you sew down the sides also, but I guess they do! Those drapes are gorgeous. Yes, it worked great! And great minds think alike 😉 Thanks Nancy. Thank you , I enjoyed the post . The curtains are very pretty . Thank you for the info on where to purchase the blackout lining . I really enjoy your blog . 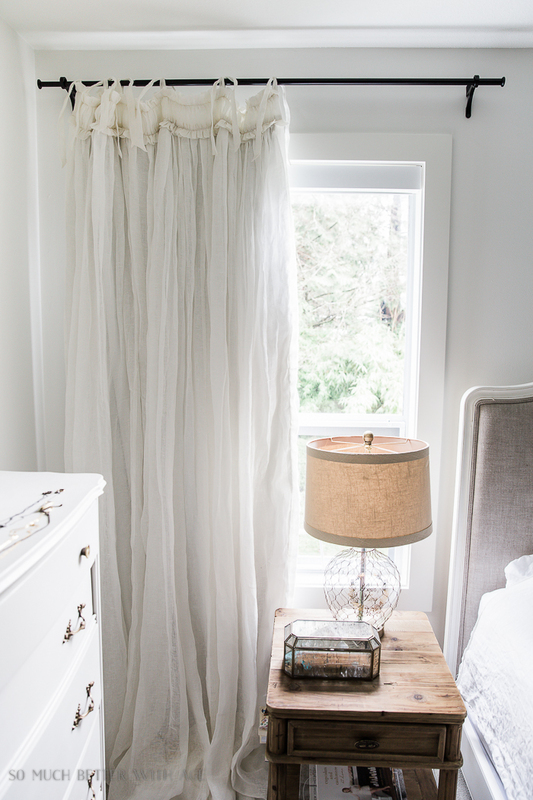 Love the tips and especially love the curtains….will you share where you purchased the curtains?? thanks so very much!!! Thanks so much, Diane! 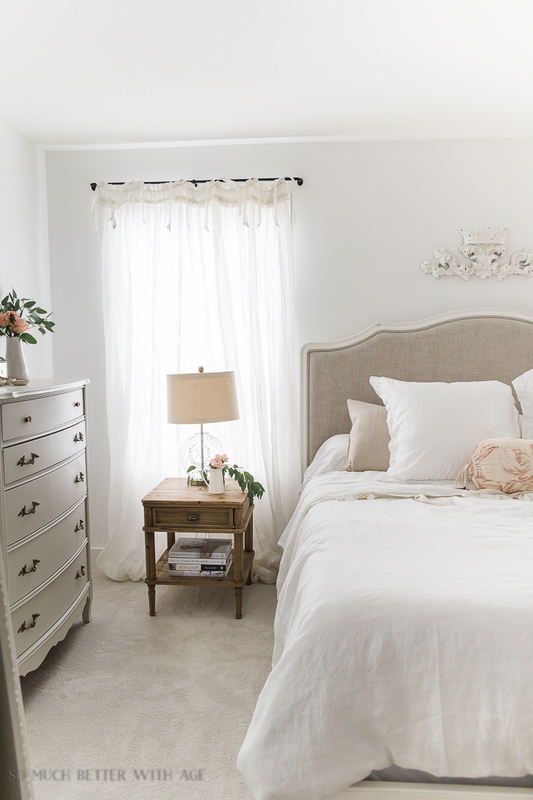 I bought the curtains from Soft Surroundings and the link is in the first paragraph of this post! Thanks for the tips – I would love a print out. I actually have curtains now that I need to add a lining to and have been dreading it – therefore, haven’t hung my new curtains yet! This helps so much. Your room is beautiful! haha yes, it can be overwhelming to start! I’ve been wanting to do these for months! Thanks Patty. Love your store bought curtains!!! Do you have a link to where you bought them? Thank you, Miranda! The curtains are from Soft Surroundings and there is a link in the first paragraph of this post! I love them too! Thanks Holly. Printable guide would be a great idea! Looking for a tutorial for bistro curtains style. You have so many great ideas! Definitely would be interested in printout. They are absolutely BEAUTIFUL curtains, and you did a great job on adding the blackout. I am all about some curtains that puddle on the floor. They add soooo much elegance to a room, and yours are stunning. Thanks Deb! I love them too. Thanks for sharing this! 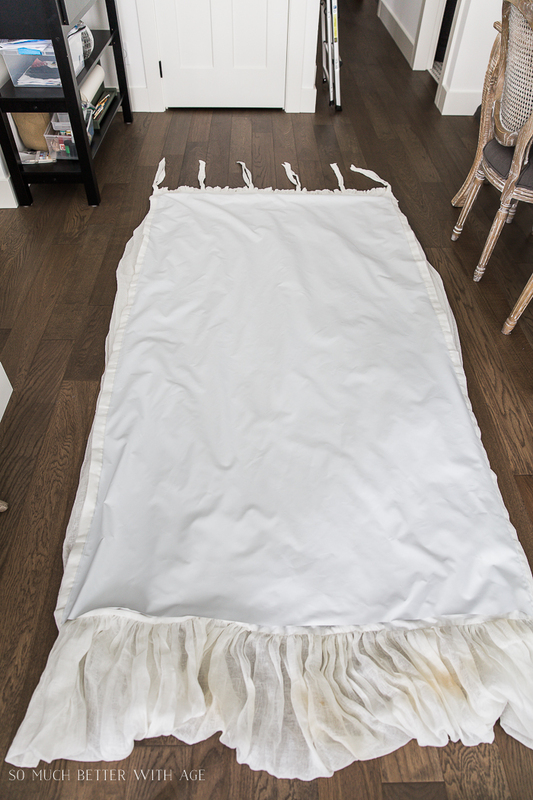 I only have drapes in one room…the dining room and these are perfect for the romantic look I love…just ordered them in ivory, so pretty. They are actually never closed but needed to keep a big bay window from looking so bare. Beautiful in your bedroom, too. Thanks Jill! Aren’t they gorgeous curtains? I know what you mean about bay windows, so difficult. They would look gorgeous in a bay window. I’d love to receive a copy of the guide once its published! I never thought to do that. Great tip. Those drapes are lovely. Great tutorial. Thanks for the link. It’s so hard to find attractive black out curtains so I’m liking that you used your pretty ones. Thank you! I agree, so hard to find!